I was saw another broadband at Malda, West Bengal, India. 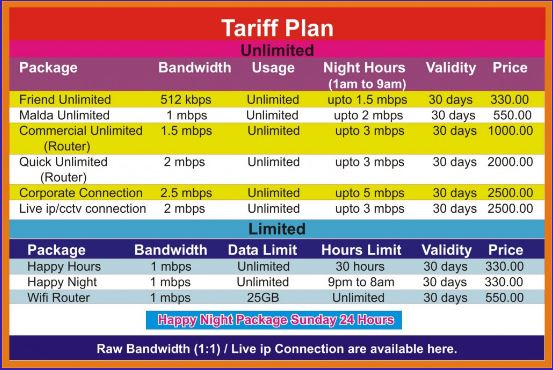 It's called Malda Net broadband. My friend's needed a broadband internet connection at his home in Malanchapally, Malda. So I was looking this broadband at my friend's house and known details. *Included all tax in this all plan price, So pay only written price.